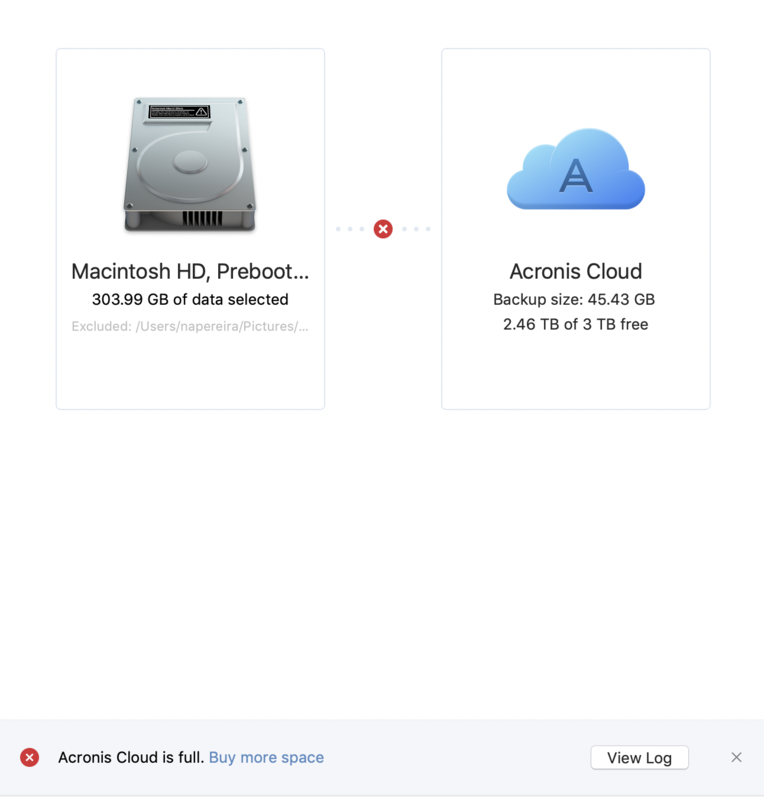 I can't seem to get past my initial cloud backup on my Mac. It keeps stating that I've run out of cloud storage (I didn't.. I have 3TB storage and am only using 2.4. But what I did notice is that even though the backup size is set to 390GB, at the bottom where it shows the status as it uploads to the cloud, it's showing a 3.74TB backup. I have no attached storage, I even excluded my google drive just in case. It keeps failing. 2018-09-28T16:54:07:721-04:00 4508169664 I00640002: Operation Macintosh HD, Preboot, Recovery, VM started manually. 2018-09-28T16:54:08:296-04:00 4508169664 I0064000B: Priority changed to Low. 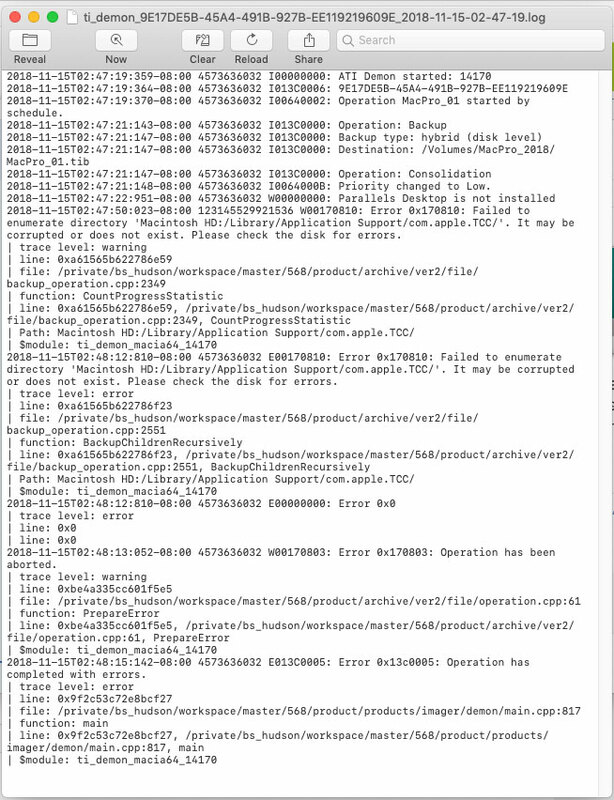 2018-09-28T16:54:30:624-04:00 4508169664 W00170801: Error 0x170801: Operation has been stopped. 2018-09-28T16:54:31:830-04:00 4508169664 E001703F8: Error 0x1703f8: Acronis Cloud is full. | error 0x1703f8: The quota was exceeded. 2018-09-28T16:54:33:834-04:00 4508169664 E013C0013: The disk is full. Looks like an issue in the product. I see that your open support ticket has been already escalated to the higher level, please keep us posted with the results of the investigation. I still haven't received any communication from support. I emailed them for an update but no response. I have asked the support department to prioritize your ticket. I have the same error except I am saving on an fresh empty local 1TB USB drive. Not good as it renders this product 100% useless to me. I DO NOT have ANY ERRORS ON ANY DISKS. Please see attached.